How Does A Real Session Drummer Compare With Software Drums? Alex Reeves in his Drum Fortress studio. Does today’s sample-based drum software mean we don’t need real drummers any more? We find out what a human session drummer offers that a virtual drummer can’t. For a few styles of electronic music, ‘real’ drum sounds play no part. But for most music-makers in the mainstream, the sound of an acoustic drum kit played by a real drummer — whether left in its natural state or processed, chopped up and looped — forms an integral part of the mix. 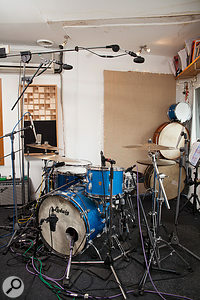 There’s little argument that, in situations where you want the sound of real drums, the ideal would be a world-class drummer with a van-load of different kits, set up in a large studio that’s booked out indefinitely, with a team of tame engineers on hand to sort out the messy business of miking the kit correctly. For many of us, that’s a pipe dream, and I’m not just talking about home studios. From scores and soundtracks to commercial releases, the constraints of time and budget imposed by the current climate mean that traditional recording sessions — with musicians and producer all in the same place at the same time — are much less common that they used to be. Similarly, larger studios designed for big sessions are dwindling in number, while there are probably more small production rooms currently in use than ever before. So, when the ideal is unattainable, what are we to do? One approach is to use a session musician remotely: someone who has their own recording space set up and ready to go, who can record their parts themselves and then send them over to be incorporated in your mix. The modern marvels of Skype, email, WeTransfer and the World Wide Web have made this process much easier, and typing “remote session drummer” or “online session drums” into Google turns up pages and pages of hits. You can take your pick of session drummers all over the world, with advertised prices ranging from £50$75 per track to considerably more. One of the advantages that many of Alex’s clients enjoy is the ability to choose from a number of different miking setups for the kit.An alternative is to use sampled, programmed drums. Technological advances have had an even more radical effect here, with sample libraries becoming ever bigger and more detailed, with high-definition audio, multiple mic options and abundant multisampling. At the same time, a new generation of ‘intelligent’ virtual drummer software, beginning with Steinberg’s Groove Agent and continuing with Pro Tools’ Strike and Logic’s Drummer, will take care of much of the programming for you. If you believe the hype, we’re tantalisingly close to not needing flesh-and-blood drummers at all, with perfectly recorded sounds and totally convincing performances available on tap, all inside the box. However, although we may be close, we’re not there yet. Judging by my own experience of using programmed drums and virtual drummer software, and the feelings of many producers I’ve talked to, it often feels like there’s something missing. So perhaps it’s time to look at the first option again. With that in mind, I recruited top session drummer Alex Reeves and three producers, to compare his services with the results they could get from virtual drum software. Alex Reeves has a lengthy CV that’s as varied as it is impressive. 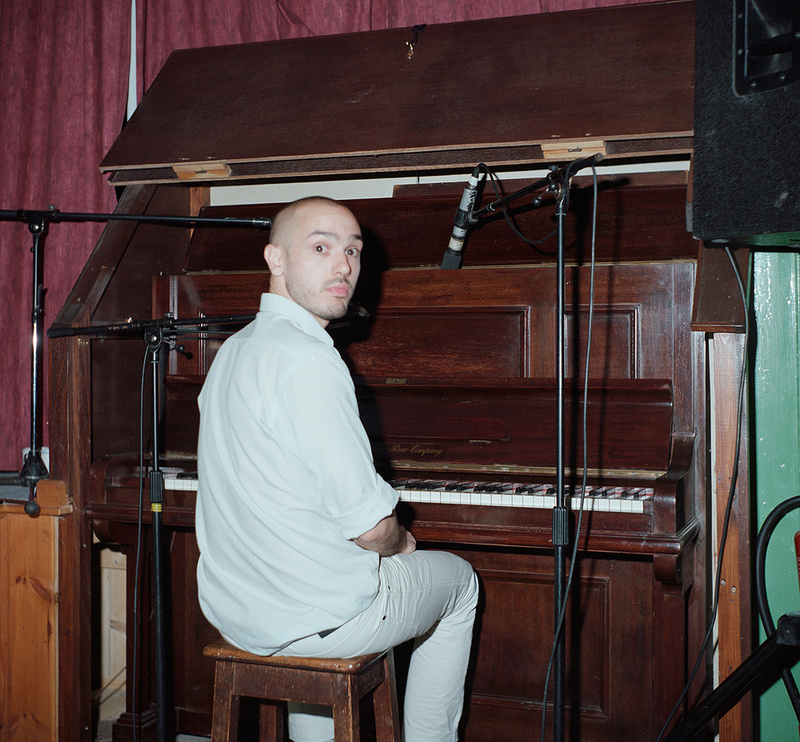 He’s toured and played live with Dizzee Rascal, Bat For Lashes, Anna Calvi and the BBC Symphony Orchestra. His session work takes in just about ever major recording studio in the UK, most recently playing on Guy Garvey’s forthcoming solo album at Real World. 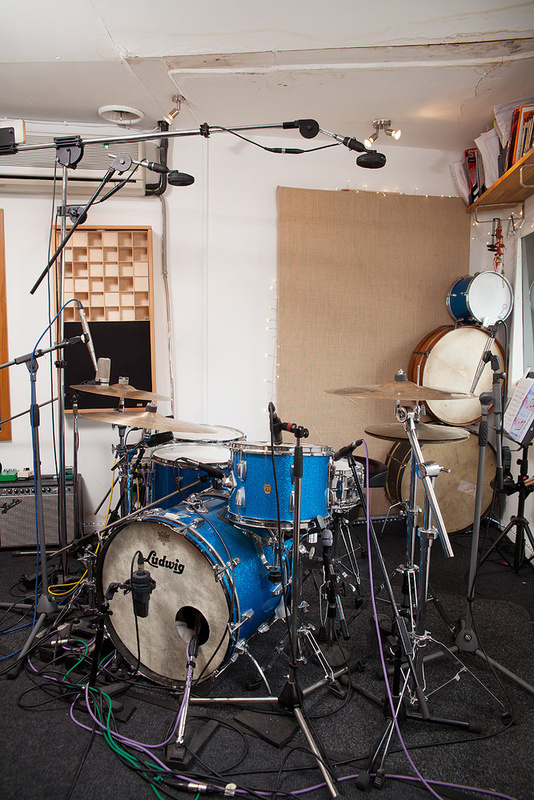 From his own Drum Fortress studio, a modestly sized but well-equipped room in the Fortress Studios recording and rehearsal complex in central London, he has provided remote session services to the likes of Nick Cave, NAS, Bobby Womack, Chase N Status, Avicii and UNKLE, not to mention music for commercials, video games, TV and film. His standard rates for remote recording — £150$230 per track or £300$460 per day — are higher than some, but reflect the breadth and depth of his experience. Part of the appeal of the remote session approach is that it has made very good professional players accessible for anyone to use in their productions. For Alex, offering his services in this way was simply a natural step. “I’m of an age where I didn’t start out recording in the major studios,” he explains. “When this kind of recording started is roughly when I started recording, 15 years ago. Major-league recording was starting to wind down in the late ’90s and early 2000s, and the studios were starting to work in a different way. So I grew up playing a lot of this stuff in my own studio. While MIDI drums give you a potentially infinite choice of sounds, any good session drummer will also have a decent variety of snares and other instruments to offer.Close mics on the toms, over and under the snare and inside and outside the kick drum are joined by three separate overhead configurations: a pair of Coles 4038 ribbon mics above the snare and floor tom, Earthworks SR30 capacitor mics over the hi-hat and ride cymbals and an additional ribbon positioned to the side facing the floor tom, which combines with the Coles 4038 above the snare to create a ‘Glyn Johns’-style miking arrangement. More unusual is the room-miking setup, with a U47-style large-diaphragm mic suspended close to the ceiling and a pair of Josephson C42 small-diaphragm capacitor mics set very close to the side walls and pointing at them. The three tracks that Alex worked on for the purposes of this feature demonstrate the quality of the results that can be achieved using the remote recording approach — with a really good drummer who knows his way around a studio, at least. But they also reveal some of its limitations. Producers Mike Chapman and Simon Pilton had always planned to use a session drummer on their song, and as a result had created the track using only a basic programmed loop that left space for further embellishment. By contrast, Dave Lockwood’s track was completely finished before we asked Alex to replace the drum part, leaving next to no wriggle room. Tim Goalen had likewise put a lot of work into creating a detailed programmed part before Alex was called in, and it’s perhaps no surprise that, while all three sets of producers felt that the sound of their drum parts had been improved, only Chapman and Pilton noticed significant benefits in terms of feel. Clearly, if you plan to use a remote session drummer, some thought needs to be given as to what stage in the project you involve him or her. Another, closely related decision is how much creative input you actually want from the session musician. 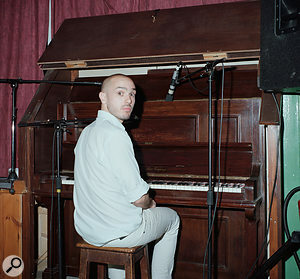 Alex describes his work as a remote session drummer as combining the roles of musician, engineer and producer, with the proportions varying according to the project in hand. “For example, with Dave’s tune,” he explains, “he had already made all the producer’s decisions about drum sounds, the drum part and the feel, leaving me essentially to reproduce his ideas on a real kit, taking on the roles of engineer and drummer. However, when the producer hasn’t programmed a part in such detail, I will often be left to make many of the decisions that he would normally have made, which might be fundamental to the track: the sound, the instrumentation, the feel. In these cases I have to make the kind of choices that would have been made, in old-school major-studio sessions, by the producer or arranger. Mike Chapman (left) and Simon Pilton. The way to get the best from a remote session drummer, says Alex, is often to commit to one extreme or the other of the spectrum when it comes to being a control freak. “In my experience, the remote sessions I do that work best are either the ones where all the decisions have already been made to the most extreme degree, or where the producer or songwriter is extremely relaxed about what I do and trusts me to do what I think will work best. If you’ve got something extremely specific in your mind, then be extremely specific in the instructions you give: where to put fills, where to start and end them. If you want to program those things, then the drummer can just copy them with his or her feel. But if you don’t mind giving up some control — and obviously that requires quite a bit of trust in the musician you’re using — you may well end up with something better than you could have programmed yourself. You’ll also need to think about what you’re going to send over for the session drummer to play to. You’ll also need to consider what you’ll get back from the session drummer when he’s done his thing. Common practice is to receive a stereo mix of the new drum part plus stems or individual tracks from the various mics used, though some drummers charge extra for producing a stereo mix. Most drum software instruments offer a range of user-friendly features to make drum mixing easier, so if you’re more accustomed to the programmed route than balancing the sound of the kit from multiple mics, this is something to bear in mind. Above all, clear communication with the session drummer is crucial to getting the results you want, and that’s something this particular session drummer sees as perhaps the biggest challenge for both parties. As virtual drum instruments have become increasingly sophisticated, that increased complexity can make using them a complex business too. But when I suggest that it must be easier to communicate what you want to another human being as opposed to what, for all its sophistication, is still a dumb adding machine, he’s not so sure. “I think you’re wrong,” he says. “It’s like the old joke, what’s the difference between a drummer and a drum machine? With a drum machine you’ve only got to punch the information in once! I’m just as much a user interface as BFD is a user interface. It’s just a matter of how, firstly, the interface interprets what you say, and secondly, how you use that. I’m not sure who wins if it’s one versus the other. Providing several reference tracks is undoubtedly the best way to make sure that what you want in terms of sound and feel is clearly understood. And, as with any collaboration, time and familiarity with a particular session musician should make the process easier. You might assume that most people go to a session drummer for the latter: an old-fashioned acoustic drum track, performed pretty much live. But Alex’s roster of remote session clients includes plenty of artists working in hip-hop, electronic or dance genres where sampled, looped and programmed drums are a frequent feature. So why would these producers need a real drummer? Dave Lockwood.“There are two main reasons,” Alex says. “The first is to involve another creative brain in the process. You send a piece of music to anybody, and every single person will have a different interpretation of it. What you get back from them will hopefully be something you’re surprised by — and hopefully in a good way! So it’s about employing another musical brain. And I know that producers will call on certain musicians specifically to get their input on a track. “The second reason is that, in programmed drums, there’s something not stale, as such, because they’ve got so much better, but what you do miss is the human element. Drum software, even if it sounds good, is never going to do the unexpected. On a studio writing session I did recently, we started by laying down a four-bar drum loop and then putting everything else on top of it. I thought it sounded great, but at the very end the producer said, ‘Can we do a drum take now?’ I thought ‘But this sounds really good, it’s got everyone dancing and feeling good.’ He said, ‘Yes, but it’s a loop. It’s boring, it’s the same. It goes from the beginning to the end, it adds no light or shade, none of the contrast that a human can add.’ I did a new drum take and it added life and breath because it was a real performance that went from the beginning of the tune to the end of the tune. “What happens a lot when I’m working remotely is that the producer will get me to smash through a tune once or twice and then sample that. You’re not there to nail it exactly from start to finish. You’re there to give them tons of options from which they can hopefully find a little thing that they can use to add personality to a tune that has, in every other way, come out of the box. I might give them two takes. They might use all of one, or they might take just two bars they really like and use them as the basis for the whole track. So what have we learned from our session drummer and three test tracks? For a start, if you would ideally like to be working with live musicians in the same room at the same time, it seems that remote session recording is no more the perfect solution than programming. While a good remote session drummer offers access to high-quality sounds, expressive performances and the creative input of a real musician, the challenge of communicating what you require and the intrinsic delay in shuttling tracks back and forth mean this is still a second-best — though it should be noted that none of our test subjects remarked on experiencing any difficulties in these areas. Using a session player will mean giving up the total control over every detail that many of us have become accustomed to, working in a solo production environment. For those of us who hate programming drums (or accept that we’re no good at it) that sounds like a welcome release, but those who can achieve what they want on their own might be more reluctant to loosen the reins. 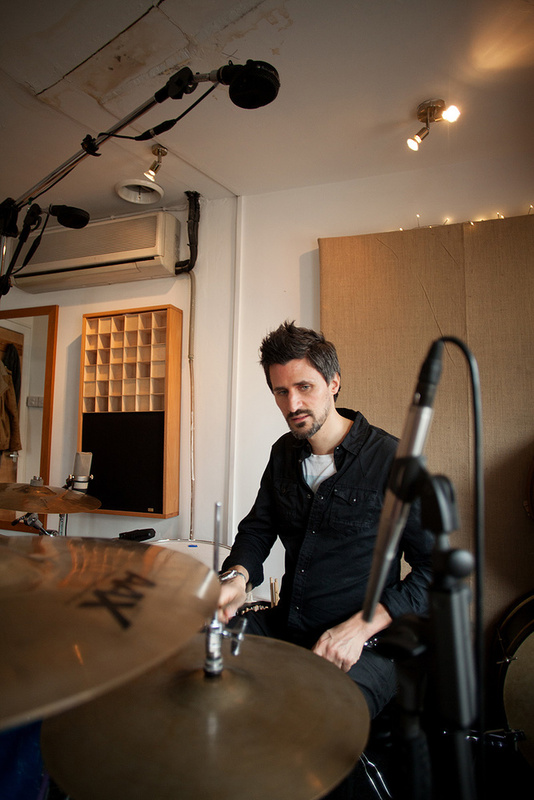 An experienced session drummer like Alex can nail the timing of a sampled or sequenced groove with impressive accuracy. This screen from Dave Lockwood's track 'Parallax' shows how closely Alex's snare hits line up with the original MIDI notes, even though these are slightly off-grid. Getting the best out of a session drummer also requires a bit of thought as to what you want to achieve. Do you want your detailed programmed part reproduced on a real kit? Do you want your basic loop turned into a detailed, nuanced performance that will lift and drive the track? Or do you want to give the drummer a blank slate to create something you can build a track around? Whatever your decision, you’ll have to adjust your normal creative process accordingly. Cost is another issue that will have a major bearing on the decision to use a remote session drummer. With software like BFD3 and EZdrummer 2 providing a wealth of sounds and patterns that can be used again and again for a few hundred poundsdollars, spending the same on session drums for a handful of tracks might seem expensive. But one thing all three of our test subjects did agree on was the value of including another musician and the importance of collaboration in the creative process. Remote session recording is definitely here to stay and, if the emphasis on real-time remote collaboration in the latest version of Pro Tools is anything to go by, it’s going to become even more common in professional circles. Other initiatives like Ohm Studio, the DAW designed specifically for real-time collaboration, and the Source-Connect remote recording plug-in are making similar use of current technology to try and make producers and musicians working remotely feel closer together. As that technology improves, as it surely will, remote session musicians may soon feel that bit less remote. 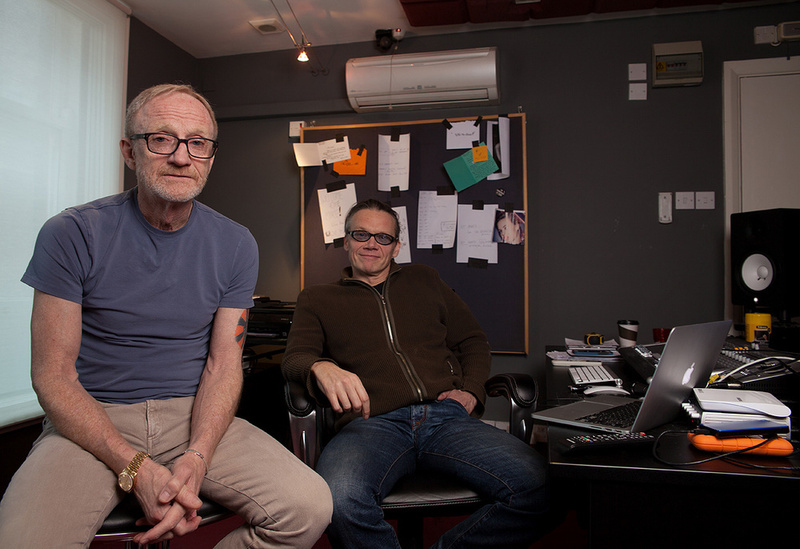 Legendary songwriter and producer Mike Chapman has enjoyed a hit-studded career that spans five decades. Among other projects, Chapman and writing/production partner Simon Pilton are currently working with singer and cellist Lisa Watchorn on her debut album. MC: “Drums and vocals: those are two things that are absolutely un-replaceable if you care about quality and feel. There are certain types of music where I’m happy to use the machines. We don’t write a lot of that kind of music, but it’s fun to do. With Lisa, the plan was always to create an album with organic instrumentation — rough around the edges, not over-polished, but it all had to be fabulous. We used programmed drums simply to write the tunes, but once we had the first couple of songs written it was an automatic assumption that we would get Alex’s human ingredient on the record. And, wow, what a difference he’s made to these tracks. “On half the album I think it’s very obvious why the real drums work. On the other half of the album it’s perhaps less obvious. Some of the tracks are very open and organic-sounding. When you use the machine drums, even if they’re beautifully programmed, because the drums are very exposed rather than blasted with reverbs and so on, you really notice the difference. MC: “The amazing thing is, usually the artist is the first one to say, ‘Wow, that sounds better!’ If you don’t actually bring it up and you never intend to use real drums, it’s not an issue. But if you actually put real drums on their records, most artists will say, ‘I like that better.’ That’s sometimes a surprise, because most of the artists that we’re working with are under the age of, I don’t know, three or four [laughs], so it’s like they’ve never heard real drums. “I think you need to have a very open mind to be a good producer. And I think there are a lot of young producers these days who are just scared to do it, because they’ve never done it. You become very obsessed: ‘This is my record, I’m gonna play everything on here.’ That’s where we are right now with the business. I think it’s very easy to see the relevance of real drums. Are they necessary? I guess if you’re listening to the charts you’re not going to hear many of them, so I’d say no, it’s not necessary. If we want to hear the same old drum sounds on everything forever, that’s fine. 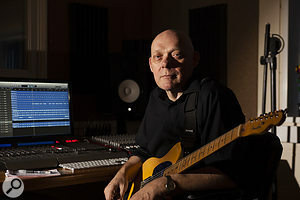 Tim Goalen spent 10 years working as an engineer at the legendary RAK Studios in London before establishing himself as an independent composer for film and TV. His scoring credits include numerous documentaries made for the BBC, ITV, Channel 4 and Channel 5. “For this piece of music, which is for a Channel 4 documentary, I actually wrote with sampled drums in mind because I didn’t think I’d have the time or budget to use a real drummer. I started by giving them a selection of tracks to try out, then as the project evolved I started writing closer to picture. So this started out as quite a basic demo with programmed drums, then Alex did a pass on it, then I remixed it and finished it off. “In terms of what using a real drummer brought to the track, it wasn’t the exact improvements I thought it would be — but there were improvements in other areas that I wasn’t necessarily expecting. I thought there would be a big improvement in groove and feel with a real player, but it was more an improvement in sound, particularly room sound. The drums felt like one instrument rather than the collection of individual hits that you’re always going to get if you’re using samples. “The hi-hat feels really connected to the kick and the snare, whereas the sampled ones sound kind of separate. The ride as well — it’s all glued together. The room is totally real sounding, rather than lots of sampled rooms piled on top of each other — a room sample from the hat, a room sample from the kick and so on — so it doesn’t quite blend. You get a totally believable sense that you’re in a real space, rather than something that kind of sounds real, until you compare it to the real thing. So it’s more the sound than the feel that I was surprised by, although the feel was great as well. “For the programmed drums on this cue, I was using a couple of cheap sample libraries I got for something like £8 each on the Internet. I layered two kits together at different levels: the Mello Jello Drumkit and Lovely Drumkit, both made by Facets of Sound, one a Beck-style close-miked thing, the other a ’60s kind of thing. They don’t sound good enough, I think, to make you immediately think that the drums are sampled, because usually sampled instruments sound slicker. These drums just sound like a fairly decent engineer recording drums quickly, instead of this perfect, pristine, huge, amazing recording. “I think a lot of the more expensive sampled drum instruments seem to slightly miss the point sometimes. They’re getting really slick and incredibly well recorded, but if the drums sound like they were recorded in Abbey Road and the guitars sound like they were done in your bedroom, it doesn’t quite trick you. “The main benefit of programming is that it’s quick and easy to write parts and try out parts. For things like TV music and film music, that’s a bonus. But while you do gain a couple of things by doing it all yourself, you’re at a risk of losing more. Even if you’re doing it remotely, involving another real player is more collaborative — you’re getting more human interaction. “What people like Alex are doing does make it a lot easier than it would have been if you had to specially book out a studio and an engineer and get in a drum kit. So remote session recording is attractive. I’ve done a bit with strings as well, replacing what I had mocked up in VSL. You still don’t get the chaos of a session, where you have to just react and play rather than thinking it all through too consciously, staring at a computer screen. But I suppose that, as you do it more, you get better at trying to bring that atmosphere into working by yourself by trying to be a bit looser and less precious about things, like you would have to be if you were working in a group. 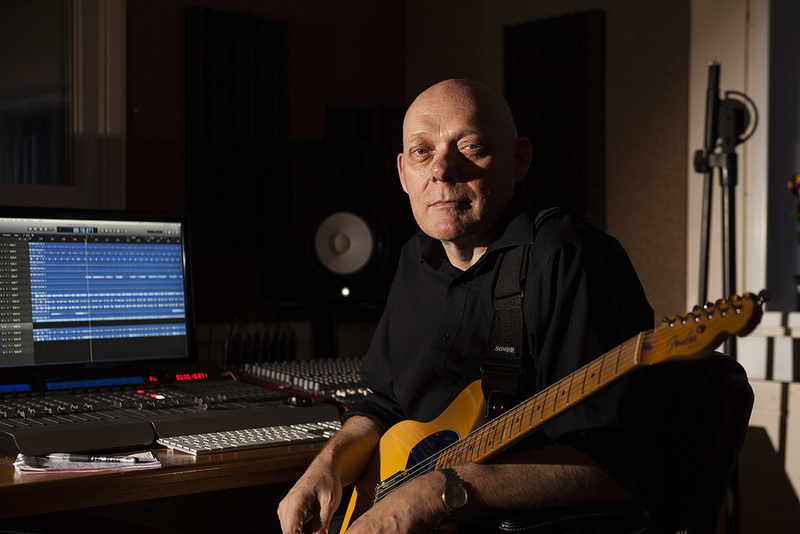 Sound On Sound’s Editorial Director Dave Lockwood has worked as a session guitarist, engineer and producer across a wide range of genres. This track is taken from his album Cobequid, on which Dave chose to play and program all the parts himself. “It was a bit of an exercise for me. I was interested to find out whether I could succeed in making it sound like a band, or at least a bunch of players all playing at the same time. It’s quite nice to have made an album that way, but my favourite way of doing things is to get together with a bunch of great players and be inspired by what they do. That’s the most fun that you can have playing. The detailed, do-everything-yourself approach is a different thing altogether, a different kind of fun, and it does take a long time. “I used [Toontrack’s] EZdrummer for the programmed drums on this track. 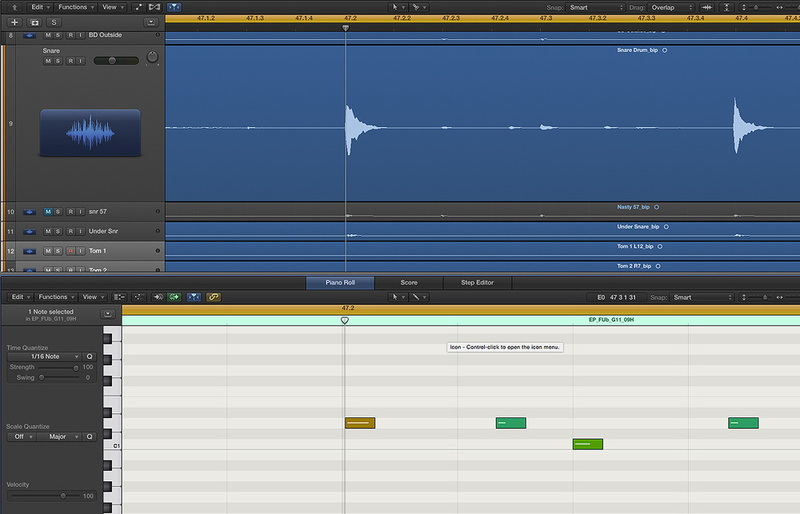 I like the fact that it starts with a sound that’s already three-quarters of the way to a finished sound. I’ve used other, more sophisticated, libraries which are really detailed and accurate and honestly make you work as hard as you will with a real kit! I don’t really like doing that when I’m trying to write a song or compose a piece of music. 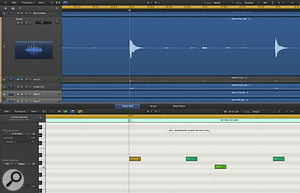 “I started with a very simple loop out of the EZdrummer library and tweaked it a tiny bit. It was already quite off-grid. I knew the feel that I wanted and I just had to pull the drums a little bit more off-grid to sit in the right place for the way I wanted to play the chords and the very simple bass line that goes under them. I played a scratch part to that basic loop, then developed the other bits of the song — the normal writing method for when you’re working on your own. You develop the variations in the rest of the track and then start putting in the detailed drums, substituting for the basic pattern that’s given the time and the feel all the way through. “A lot of the track is designed around what that programmed drum part does. A lot of that detailed programming was put in after I’d recorded the other bits, to make it sound like it’s a real drummer playing at the same time as all the other instruments, which is the best way to do programmed drums as far as I’m concerned. For this kind of detailed drum programming, I generally work in the MIDI editor rather than triggering drums off a keyboard. I can usually conceive what I want. I’ve mixed enough real drummers to know what they can and can’t play, and that’s a key part of proper drum programming. If I’m ever not really sure I’ll go back to a few real drum performances, listen to them in detail and see what people have done. So the fills and nuances, the things I was expecting to get from a real drummer’s performance — I had put quite a lot of that stuff in what I’d programmed. “Whilst I was initially expecting Alex to perhaps put in quite a lot more detail, expressive cymbal touches and so on, what he actually did was reproduce beautifully accurately everything that I’d programmed! There wasn’t really any room to do any more. The big thing that I got out of what Alex gave me was the ability to vary what the drums sounded like, because he delivers so many mic channels that you’ve got a lot more options, particularly around the snare drum, than I had with the sampled sounds. What really surprised me was how tight he was with the programmed parts. He nailed that feel absolutely. “Would I have paid a session player to do that? It’s not different enough to say yes. I have more sound variation available from his version, but no, probably not. Where you would answer that with a big ‘yes’ would be if he had put in a whole bunch of expressive detail that I hadn’t put in and that made a difference. I wouldn’t have needed to spend the time programming all the detail. But replacing the drums on a completely finished track is a slightly artificial test. If I knew I was going to use a session drummer, I could have stopped at less than halfway to those finished programmed drums. Track used courtesy of JTC Records www.jamtrackcentral.com. In the age of remote session recording and tracks assembled by multiple musicians in separate studios, playing to a click has become much more common. It’s something many musicians dread, but drummers have had to cope with it for longer than most of us. What advice can Alex Reeves offer when it comes to delivering a compelling performance against the dreaded click track? “It’s a really tricky subject,” he says. “With a band recording together in a studio, you move with each other. It happens very naturally. But the click is a perfect, clinical machine. I don’t think many musicians play perfectly in time naturally, so a click is not a very natural thing to play to as a human being. Playing in time is obviously very important to music, but the click itself is not music; in isolation, the click is nothing. It’s a matter of the player who is playing to that click making the music around it. So you have to draw the music out of it. If you can’t do that, try putting the music into it instead by changing what the click is. “Quite a common thing to do is to get a little loop going — you can just use Apple Loops or something like that. That way, you’re relying on something that has more of an element of music about it. I think that’s a really good way of working, especially to get the notes-between-the-notes feeling right. By that I mean that the distance between beat one and beat two can be interpreted in many different ways. It can be straight, it can be a shuffle, it can have a lope or a hump to it, like the New Orleans guys say. If a track needs a certain feel, I might put a little conga and shaker loop to it, or I’ll make a loop of my own that I think fits the mood and feel of the song. 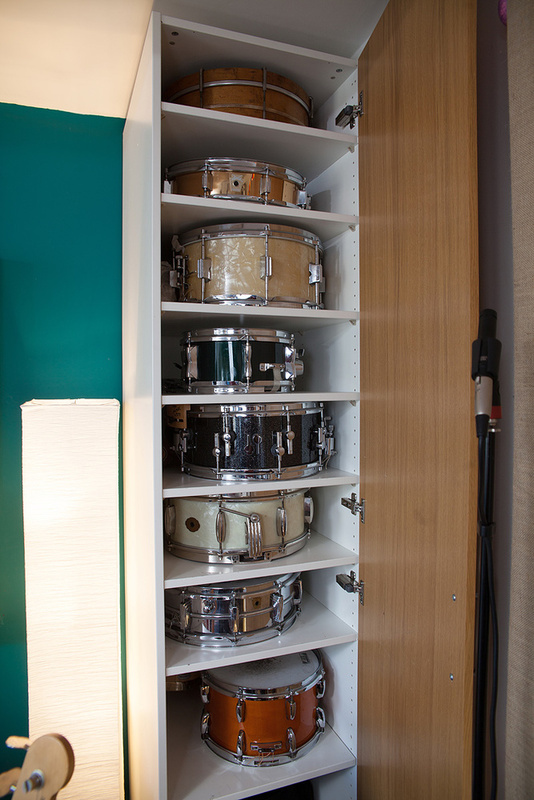 In modern record production, it’s rarely a case of either/or when it comes to programmed and live drums, and producers will happily combine elements of each in the same production. Few people typify this approach better than Hal Ritson. 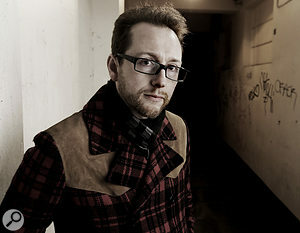 From providing sample replay services to a slew of chart-topping acts via Replay Heaven (www.replayheaven.com) to his own output as one half of genre-scrambling dance duo the Young Punx (www.theyoungpunx.com), Ritson treats acoustic and electronic elements as freely interchangeable. Ritson’s services as assistant producer and musical go-between have been employed by the likes of Duke Dumont, Cassius, the Chemical Brothers and Kanye West, to name just a few. He’s in an ideal position to judge the relative merits of programming and session players, but says it’s not a case of one being better or worse than the other. Rather, it’s about finding the correct tool for the job. “Every piece of technology — and I’m going to include live instruments as a piece of technology, because that’s what they are — creates a different effect,” he says. “It’s really about choosing which effect you want. There’s a certain solidity that you get from a drum machine, where you know that every hit is going to be the right velocity and exactly on the beat. That solid grid is very important for a lot of dance music. You can’t play house music with just live drums because it’s never locked in. Basically, if you play house music live, it turns into disco, which is no problem, it’s just not house music! On the other hand, the nuances of shuffles and flows and vibe — I wouldn’t say these things are necessarily better from a live drummer, but they are different. “It often depends on the genre. For example in heavy metal, they may want the feel of a human drummer but the absolute power of sampled sounds, where you know that every hit is at the maximum it could be. So a metal mentality might be to record with a live drummer then use sample replacement software to make the kick and the snare sound incredibly powerful. With dance music, the feel that you want often needs to have a framework with the accuracy of a drum machine, with a kick drum sitting on the grid going doof-doof-doof at maximum velocity, but maybe on top of that there’s a looser breakbeat where the shuffles in it are something that only a live player can manage to do. While he’s an enthusiastic user of drum sample libraries, praising the Native Instruments Abbey Road series in particular, Ritson suggests that they have their limitations and are not always the time-saving shortcut they appear to be. Another limitation of the sampled approach is the way that sampling handles cymbals, according to Ritson. “We do a lot of work triggering the big sample libraries from V-Drums as a way of putting a human back into the mix. But even then, we’re always recording hi-hats and cymbals live. If you think about what happens when you hit a ride cymbal, the first stroke makes it vibrate and, if you were doing that on the sample library, that first stroke would probably sound identical. But with the second, third, fourth stroke, each wave is interacting with the previous waves. If you’re doing that with a sample library, no matter how multisampled it is, you’re just re-triggering more first strokes. You can listen to all three tracks featured in this article, before and after remote session drums were added, from this month’s media home page: http://sosm.ag/oct15media.